MCA Realty, a Southern California real estate investment and management company, has invested more than $9.7 million to acquire four industrial properties in Las Vegas, according to Tyler Mattox, a principal in the firm. The acquisitions bring MCA Realty’s Las Vegas portfolio to 14 properties and more than 600,000 square feet in Las Vegas. • Aabacus Industrial Center, at 3200 & 3280 West Sunset Road in Las Vegas. MCA Realty and joint venture partner Saunders Property Co. acquired the complex totaling 58,240 square feet for $68 per square foot. Academy Bank provided the financing on behalf of MCA Realty, which was represented by Dan Doherty, Chris Lane, Jerry Doty, and Susan Borst of Colliers International. The seller, a special servicer, was represented by Chris Beets and Ben Mills of Newmark Knight Grubb Frank. • A 31,000-square-foot multi-tenant industrial building at 2750 W. Brooks Avenue in North Las Vegas. Mattox noted this property is located in the same industrial park as Cheyenne West Business Center, which also is owned by MCA Realty. The price was $55 per square foot for the building which was less than 50 percent occupied. Rob Lujan of JLL assisted MCA Realty in the transaction. • A 26,000-square-foot single-tenant industrial building at 6335 Sunset Corporate Drive, near McCarran International Airport, for $85 per square foot. MCA Realty purchased the property in a bankruptcy sale and was represented by Dan Doherty and Dean Willmore of Colliers International. During escrow, MCA Realty was successful in securing a 10-year lease extension with existing tenant Southwest Linen. • A 21,807-square-foot single-tenant industrial building at 2020 Pama Lane, also near the airport, was acquired by MCA Realty and joint venture partner Saunders Property Co. at $85 per square foot. The property is a manufacturer and distributer of a natural sweetener, and was purchased from a lender through a court-ordered bankruptcy sale. “We were able to secure a 10-year lease with the existing tenant in this asset as well, resulting in an attractive ‘in place’ yield at close of escrow,” Mattox said. MCA Realty was represented by Danielle Steffen and Amy Ogden at Cushman & Wakefield. CBRE recently brokered several medical office building transactions, including three for Coast Dental. • $1,550,000 for Coast Dental Windmill, encompassing 4,490 square feet at 2660 Windmill Pkwy., Henderson. The buyer is Brilliance Holdings, LLC, represented by Tin Lee of Skyline Properties in Bellevue, Wash.
• $1,225,000 for Coast Dental Flamingo, encompassing 3,528 square feet, 8445 W. Flamingo Rd., Las Vegas. The buyer is Luis M. Chibras Romero and Ivan E. Chibras Rabell, represented by Trent Billingsly of EBO Realty. 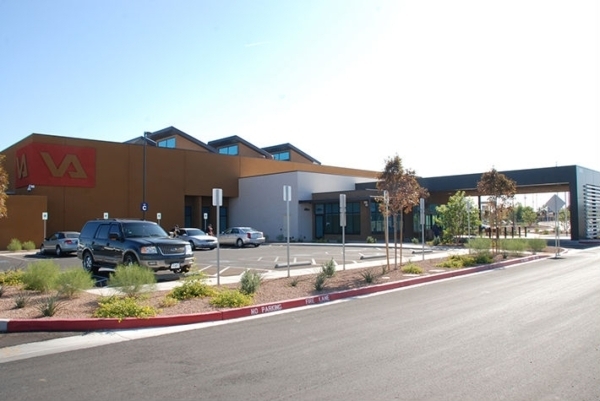 • $407,000 for Coast Dental Pahrump, encompassing 2,058 square feet, 1420 E. Highway 372, Pahrump. The buyer is Hung Nguyen and Hoa-Dao Phan, represented by Hendry Dang of ML Consulting & Development, Garden Grove, Calif.
Charles Moore, Fujita Winkel and M. Laura Hart of CBRE Las Vegas represented the seller, Sonrisa Venture, LP, in all three deals. Moore and Fujita Winkel also represented the buyer in the $710,000 purchase of three medical office buildings located near St. Rose De Lima Hospital. The properties, encompassing 24,200 square feet, are at 106, 108 and 110 E. Lake Mead Pkwy., Henderson. Both the buyer and seller are confidential, and the seller was not represented. The 35,000-square-foot Veterans Administration Building at 3968 Rancho Dr., Las Vegas, was sold for $26.75 million. The Veterans Administration has a long-term lease, is not changing locations and remains the sole occupant. The building was purchased as an investment. Both the buyer and the seller are confidential, brokers said. Charles Moore and Marlene Fujita Winkel, both of CBRE Las Vegas, represented the buyer and seller. Fleetpark LLC sold 10.04 acres of land at 3940 E. Lone Mountain Rd. to Swift Transportation Co. of Arizona LLC for $2 million. Ben Millis and Chris Beets of Newmark Grubb Knight Frank represented the seller; Wayne Uhlir of Arizona Industrial Advisors represented the buyer. • Floor R Forever LLC leased 18,000 square feet of industrial space in Jonathan Park at 3311 Meade Ave., Suite B, in Las Vegas. Dean Willmore of Colliers International represented the lessor, Jonathan Park LLC. • Interior Visions Inc. leased 9,969 square feet of industrial space in Paradise Airport Center at 6870 Paradise Rd. in Las Vegas. Greg Pancirov and Mike DeLew of Colliers International represented the lessee. 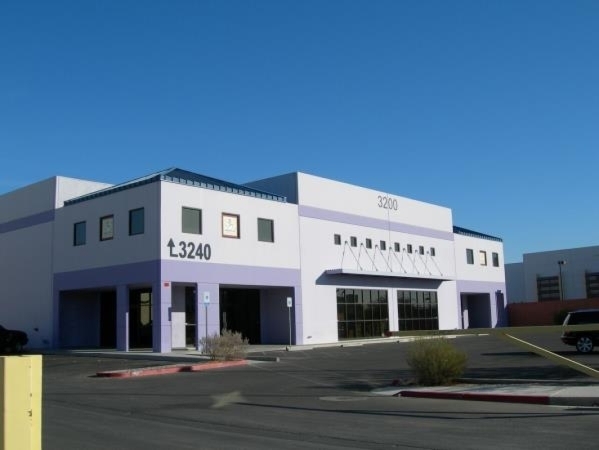 • Arms Unlimited Inc. leased 1,765 square feet of industrial space located in Diamond Southwest Industrial Center at 3515 W. Post Rd., Suite 125, in Las Vegas. Greg Pancirov and Mike DeLew of Colliers International represented the lessor, Diamond Post Inc.
• KRP Wealth Management LLC leased 1,142 square feet of office space at 5450 W. Sahara Ave., Suite 350, in Las Vegas. Renae Russo of Colliers International represented the lessor, J & Z International Inc.
• Controlled Motion Solutions Inc. leased 8,368 square feet of industrial space in Warm Springs Business Center — Phase II at 7220 Dean Martin Dr., Suite 400, in Las Vegas. Spencer Pinter of Colliers International represented the lessor, WSL Properties, LLC. • Pyramid Logistics Services Inc. leased 39,929 square feet of industrial space in Arrowhead Commerce Center, Building 15, at 3755 E. Post Rd., Suites 100 and 110, in Las Vegas. Spencer Pinter, Dan Doherty, Susan Borst, Chris Lane and Jerry Doty of Colliers International represented the lessor, KTR LV IIII LLC. • Jina’s Brow Studio leased 977 square feet of retail space in Paseo Verde Plaza at 55 S. Valle Verde Dr., Suite 230, in Henderson. David Grant of Colliers International represented the lessor, Donahue Schriber Realty Group LP.